Julia Melfi is a performer, podcast/radio producer, writer, theater maker, artist, and whatever else a project requires her to be. 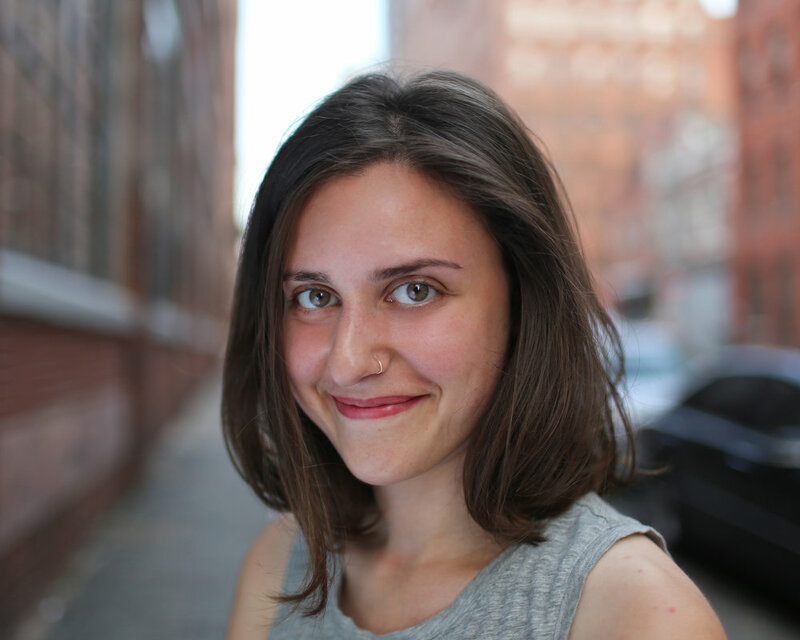 Originally from the Seattle area, Julia now lives in Brooklyn, New York. She is an ensemble member of the NY Neo-Futurists, an experimental theater company. Their award winning show, The Infinite Wrench, is an ever-changing attempt to perform 30 plays in as long as it would take you to watch an episode of 60 Minutes. Julia has worked as a producer for NPR's Ask Me Another, has written for NPR books, and hosted the Tompkins Square Halloween Dog Costume Contest and Parade for Facebook Live-- an accomplishment she will never top. Since this lovely headshot was taken, Julia has dyed her hair bright pink…and now it’s a periwinkle blue. Want to work with me? Reach out below!